NOTE: This content is old - Published: Thursday, Jul 28th, 2016. Wrexham fans and the town were promised ‘a brighter future for the club’ ahead of planning permission for the flats, with ‘all profits to go back into the club’. Those flats are now for sale with none of the money going to the football club. The overall vision for ‘Wrexham Village’ was presented to the people of Wrexham as being several student blocks and a brand new stand for Wrexham Football Club, who were also due to be benefiting financially from any development. 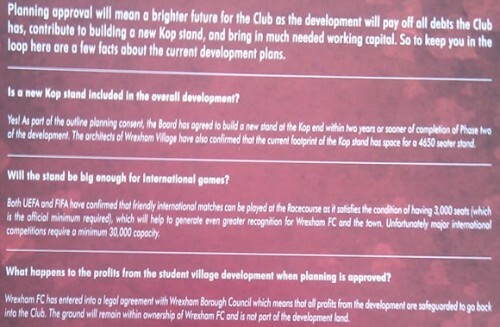 The below leaflet distributed to fans prior to development gave the impression a legal agreement would ensure that all profits will go back to the club, and was directly linked to planning approval for the development. Fans were were subsequently told the club will ‘not see a penny more’ and had all it will have ‘upfront’. The planning decision was passed at a Wrexham Council Planning meeting in April 2009, a meeting that then manager Dean Saunders bizarrely also attended. Cllr Richard Caldicote from Penycae said at the meeting prior to the vote “We have got to gamble and listen to our Officers”, with many members asking for deferment. Then Club owners and current Wrexham Village Directors Geoff Moss from Farndon and Ian Roberts from Ruthin based ‘Roberts Homes’ facilitated the development of the flats by selling the then carpark of the club to a company they themselves owned to build the flats on. The ‘businessmen’ subsequently sold the Racecourse ground itself to Glyndwr University and debt laden club to fans owned group Wrexham Supporters Trust. The club itself which was sold for a pound to the WST was at the time in a £442,000 black hole at the time of purchase. 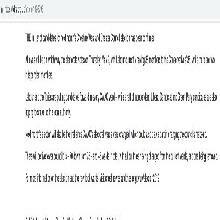 Information released after the purchase of the club by the Wrexham Supporters Trust revealed a £100,000 cash injection from the WST to keep the company going during the drawn out purchase saga. Another part of the debt left included a £24k VAT bill that was unpaid, and a £129,986 loan due to Roberts Homes – former owner Ian Roberts’ company. In January this year the now fans owned and run club declared a profit, and will in a few days time be celebrating taking the reins of the ground formally under a long term lease. The details provided for prospective buyers note “Two blocks comprising of 323 purpose built en suite rooms with shared communal areas built in 2003”, however that detail is not accurate as planning was given in 2009 and the flats opened in 2011. Any purchaser is ‘guaranteed net yield of 7% for 3 years’ however it is not explained if that is more cast iron than the one made on the leaflet given to the people of Wrexham. The block generates revenue ‘circa £1.3 million’ a year, and has is ‘fully managed and maintained’ with 24 hour security. 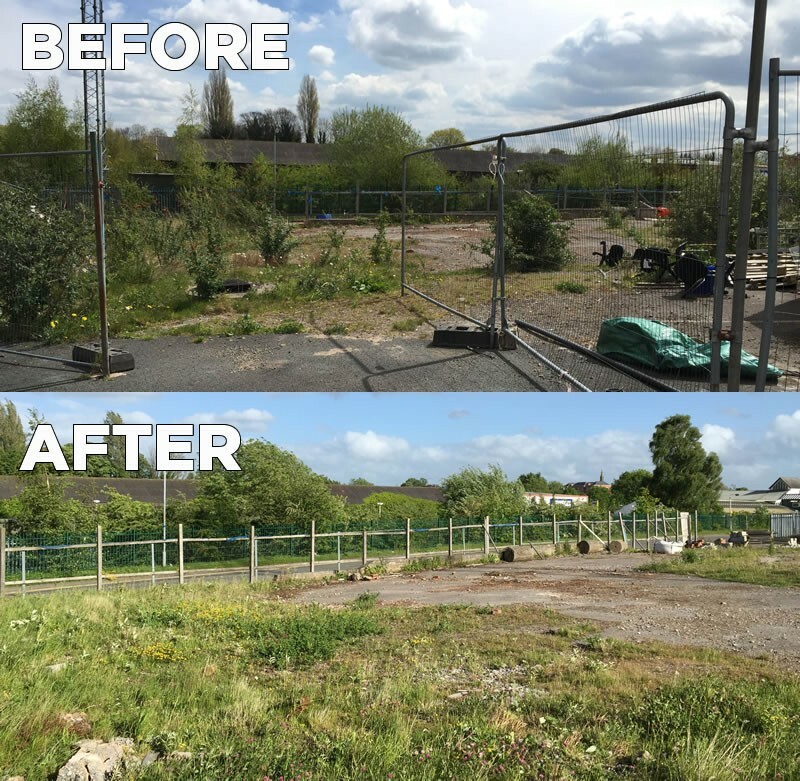 The maintained comments could raise eyebrows locally as a petition was started to get the ‘eyesore’ site attached to the development cleaned up, which after some pestering had a spring clean. 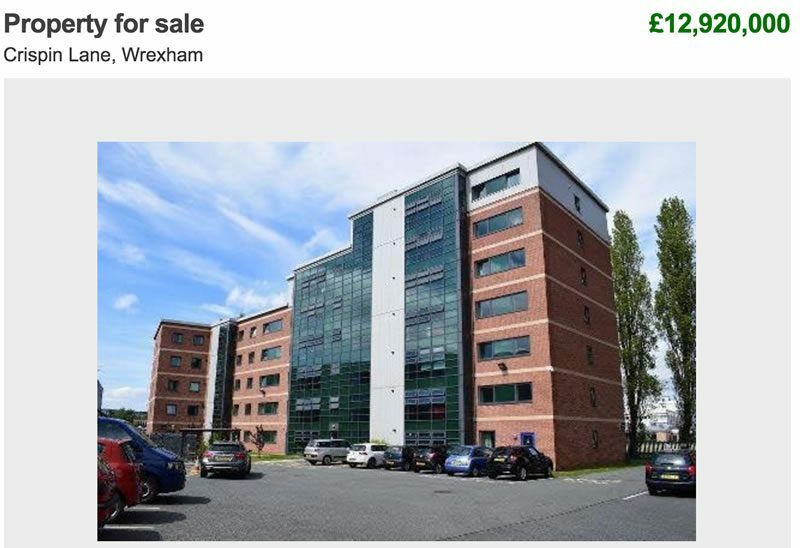 Last year land around the site was listed for sale all but confirming the end of the ‘Wrexham Village’ plan that would have seen several other blocks of flats built. The flats are noted as listed by an agent from Swindon, you can view the full particulars PDF here.